Welcome back to the second part of Katherine and Owen’s wedding in DC! 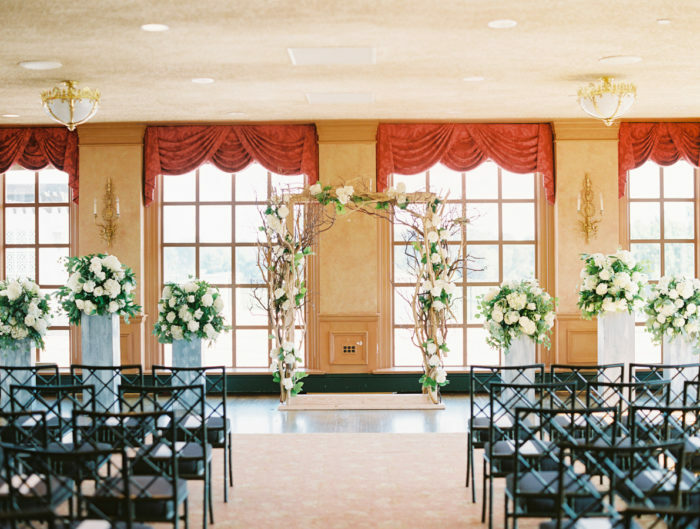 I hope you are ready to be transported to a magical garden for their wedding reception. This couple tied the knot in a beautiful and traditional church wedding ceremony at the beautiful Shrine of the Most Blessed Sacrament. In case you missed their elegant wedding ceremony, be sure to check it out here. Once their vows were exchanged, the newlyweds and their wedding guests boarded trollies and had a mini tour of the DC before heading to a wedding reception that took place and the grand Andrew W. Mellon Auditorium right along Constitution Avenue in the heart of downtown Washington DC. The grand and iconic auditorium was transformed into a magical indoor garden with huge trees encasing the head table and stunning sweetheart chair treatments – this was a beautiful way to make a statement when loved ones walked into the reception space surrounded by high ceilings and huge regal columns. The reception table centerpieces were low and high, all with the feeling of an enchanted garden. Katherine and Owen were hoping for a dramatic look for their wedding reception and their wedding vendors carried it out flawlessly! With the help of DC wedding planners, A. Dominick Events, the white dance floor, white and gold wedding cake, and even the personal candy bar were spot on. But it was the dancing that seemed to touch this darling couple most. No matter how beautiful a wedding reception may be, it’s always those special, intimate moments they remember first. A special thanks to Washington DC area wedding photographer, Greg Gibson, for sharing Katherine and Owen’s beautiful big day photos with us. From the bride: Our wedding style was formal and dramatic, but fun! We wanted to work with the high ceilings of the Mellon Auditorium, so we used lots of tall flowers and plants (constructing what one of our friends dubbed a garden wedding), and used a classical glamour palette of golds, creams, pale pinks and light greens. Aimee at A. Dominick Events, and Amaryllis flowers did the rest! It’s so hard to pick just one of our favorite wedding day moments! I think it would have to be tearing up the dance floor with my friends and family, and just being in the moment of our wedding with everyone and having so much fun. My first dance with my father was even more special than I had always imagined it to be, and as he whirled me around to Barry White’s My First, My Last, My Everything (stepping on my dress more than one time!) I remember thinking that it just doesn’t get any better than this. Our most personal detail was the candy that we provided for our guests as a farewell treat. When Owen proposed, he hid the engagement ring in a box of gummies from our favorite West Village candy store, Sockerbit. We walk by that store every day on our morning commute, and it always makes us think of getting engaged. So, we wanted to share with our guests the sweetness of that story, and of the delicious Scandanavian goodies that Sockerbit sells. 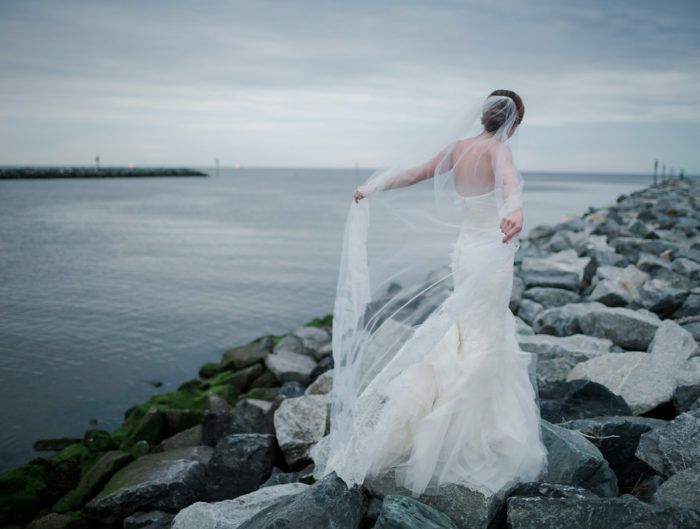 The city of Washington DC provides a great backdrop for a wedding, so take advantage! We had our welcome drinks on the rooftop of the Old Ebbitt Grill, giving our wedding guests a bird’s eye view of the Treasury, White House, Washington Monument and more. 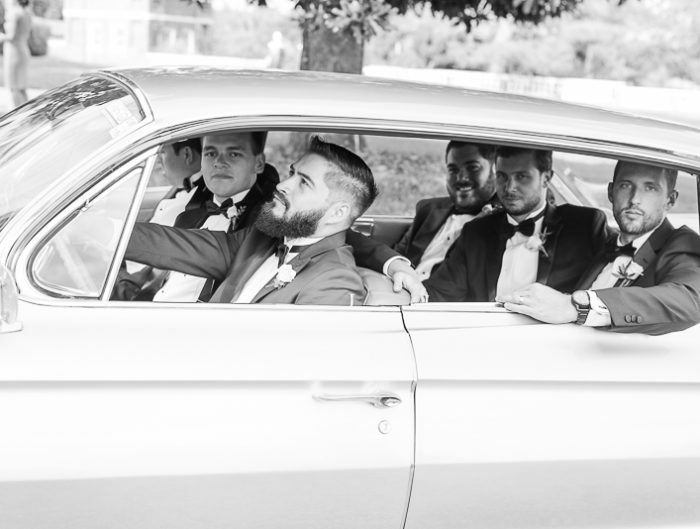 Many of my wedding guests later told me that the transportation that we provided from the wedding ceremony in Friendship Heights to the wedding reception downtown really stood out for them and was one of the most creative ways to transport guests to a wedding venue. We had open-air trolleys take our wedding guests on a guided tour of downtown DC and her monuments (with miniature spliffs of champagne, of course!) and people really loved seeing the city that way. Congratulations to Katherine and Owen! Thank you for sharing your beautiful indoors-meets-outdoors auditorium wedding reception in Washington DC with us! Groom Shoes: PradaFor more wedding vendors, please visit our Washington DC area wedding vendor guide and for even more amazing local ideas, check out our wedding inspiration galleries and other Washington DC area real weddings.